I know, you come here for flying drones, but we get just as excited about similar technologies going into drones that don’t fly. That is why we are here today, we hope you enjoy, but we just want to share some cool toy robots we’ve had our eye on. Please forgive the diversion, today is all about having some fun. I suspect you’ll find some cool holiday gifts in here as well. The same list of fun drones keeps this list entertaining. A few price reductions, and a few small price increases. The main reason we’re covering non-flying drones today is the Sphero BB-8. We have it in our list of fun drones you can control with your mobile device, and we know there are a bunch more like it out there. If you live in a place like my area, winter is a tough time to get outside to fly, flying indoors has its limits, but these robots here today are good to go! You’ve probably seen this guy before, the Sphero BB-8 is about 6 inches tall and is quite impressive how well it scoots around. Interactions with the robots are via mobile device or from the Force Band, that enables gesture control. Check out the Sphero BB-8 from $40 on Amazon today. Capitalizing on the cute factor, the folks at Anki have focused on AI to build an interactive robot that grows with you. 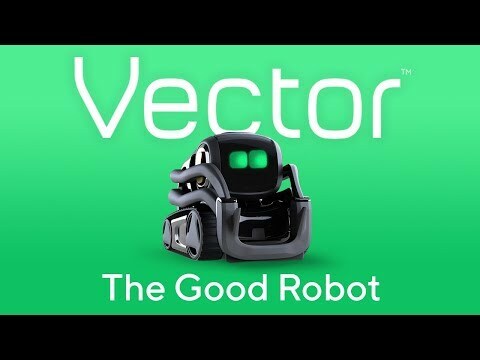 The Anki Vector is designed to be a companion, not just a toy robot. Ask Vector to perform tasks like take photos or tell you the weather, try not to get weirded out when it asks how you are doing today and expect new features to roll out via wireless updates in the future. See a trend here? Sphero is making some high-quality toys with these machines, making fun, interactive and very capable robots. Fans of the series should also appreciate how few sacrifices are made to make these toys possible, they look and act much like their on-screen counterparts. 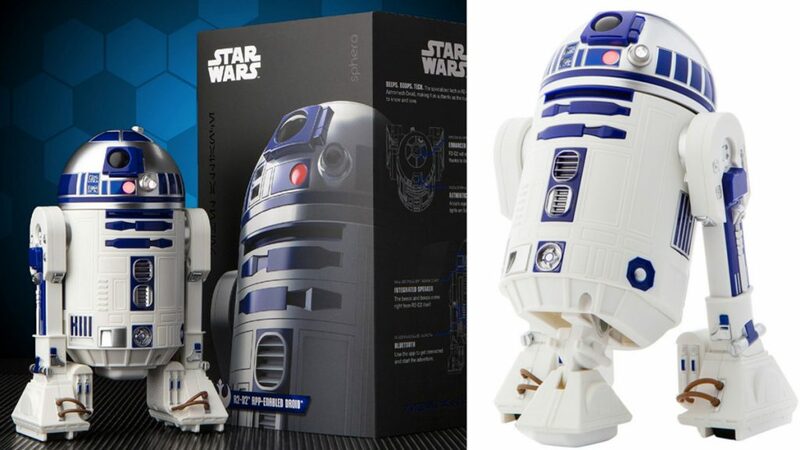 Check out the Sphero R2-D2 for $57 on Amazon today. Now also available, Sphero R2-Q5 for $120, embrace the dark side. Often $89, watch for sales. 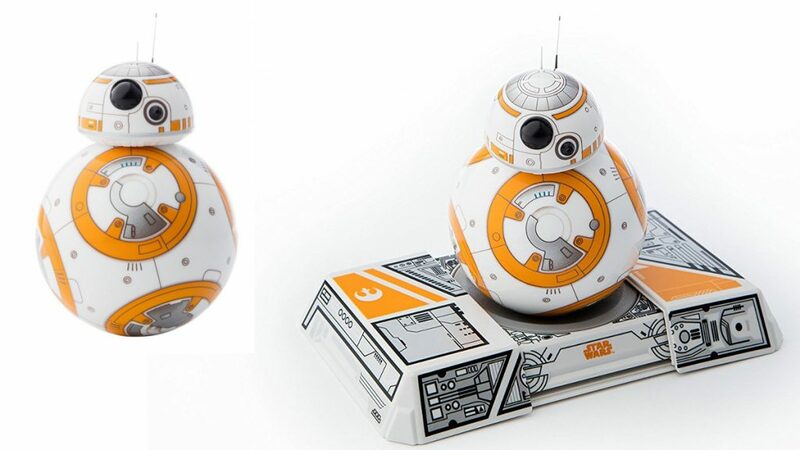 Last one of these, for now, the Sphero BB-9E is from the upcoming Star Wars: Episode VIII The Last Jedi. 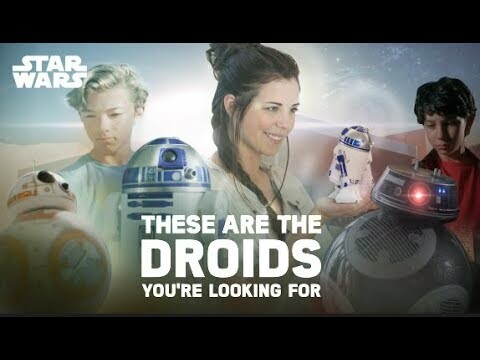 BB-9E is the evil version of BB-8, if you’ll accept that description, making for a great set if you opt for all three Sphero units. 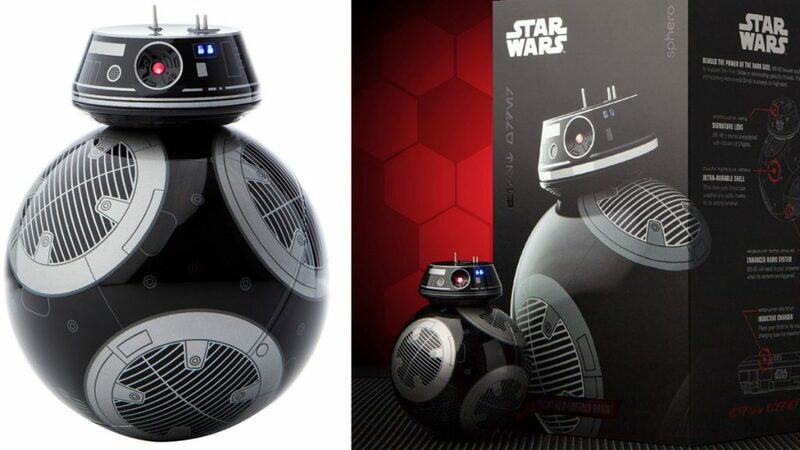 Check out the Sphero BB-9E for $60 on Amazon today. 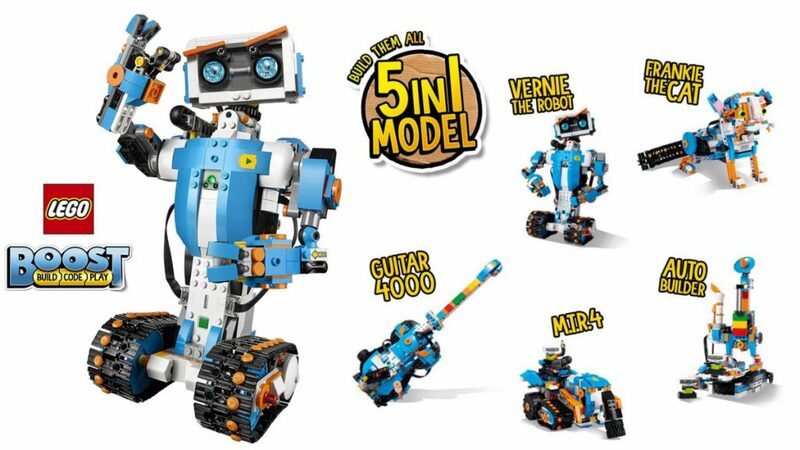 Five robots in one, plus interactive coding experience for kids of all ages (or, 7 – 12, if you go by Lego’s description.) 847 Lego pieces combine for more than a few robot ideas, just build, code and enjoy. Check out the Lego Boost Creative Toolbox 17101 for $160 on Amazon today. Again focusing on education and learning how to code, Cozmo by Anki is a small front loader tractor type robot. The LCD face on the front is reminiscent of Thomas the train, but again, you and your child get to program the face and actions of the toy. 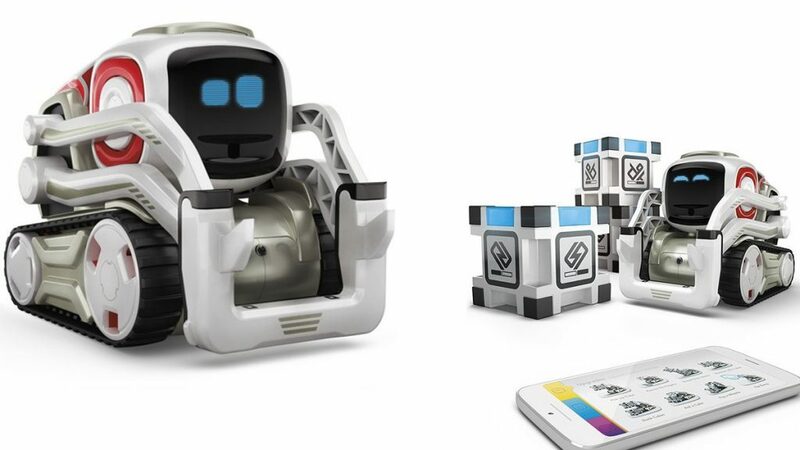 More recent app updates have taken Coszmo well beyond being just an education tool, this little robot can roam the house on its own and more, certainly a fun robot. Check out the Anki Cozmo for $164 on Amazon today. If the previous Lego kit was too simple for you, the Minstorms EV3 31313 robot kit should satisfy. It has a particular aesthetic for a more ‘evil’ looking robot, with one of the many build instructions making a snake. Otherwise, I get a Japanese samurai battle robot feel from it. This is a bit more advanced of a unit, but the results are pretty slick, for Lego. 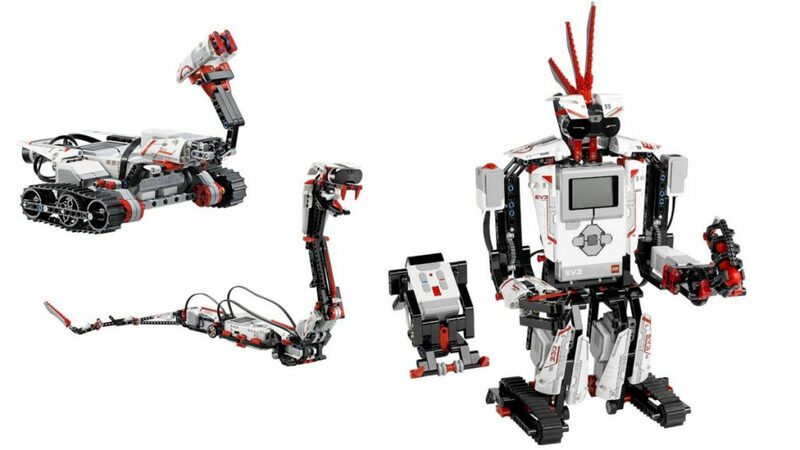 Check out the Lego Mindstorms EV3 robot kit for $340 on Amazon today. The WowWee MiP is the machine running around the house in the hand’s of my niece. Interact with MiP via gestures and touch, use a Bluetooth connected mobile device or watch as it responds to sound. 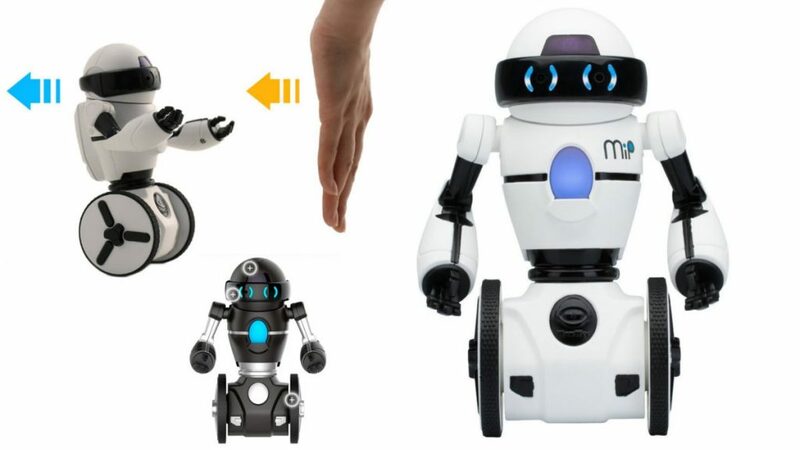 There are fewer educational experiences to be had with this toy robot, but it is great fun and well featured for the price. Check out the WowWee MiP from $75 on Amazon today. I don’t know what to say about this one, the Drone Force Angler Attack is a unique approach to toy drones. It’s a very simple flying machine with a skeletal fish frame on top. The little lights are a nice touch, making this drone as creepy and scary as intended. 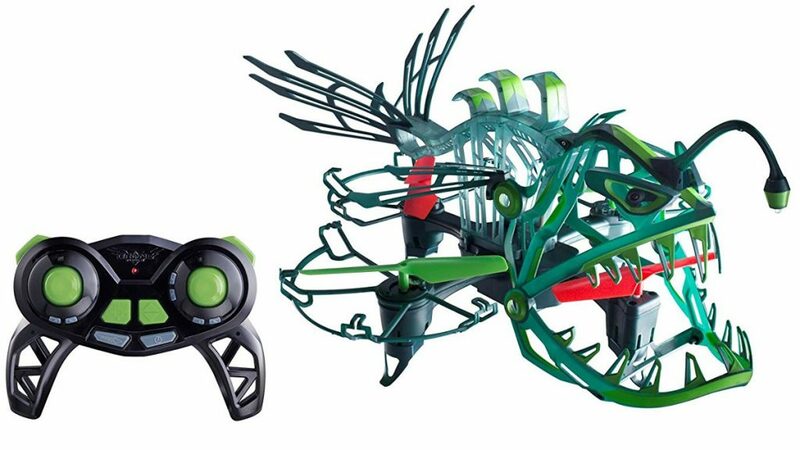 Check out the Drone Force Angler for $80 on Amazon today. Designed with the same purpose, but for different age groups, the Wonder Workshops Dash is for younger children, the Wonder Workshops Cue is for older children. Both are bubbly little robots with rich personalities that accept some programming for operation. Control by phone, or, as it appears, enable pre-configured autonomous operations. Check out the Wonder Workshops Dash for $149 and the Wonder Workshops Cue for $199 on Amazon today. 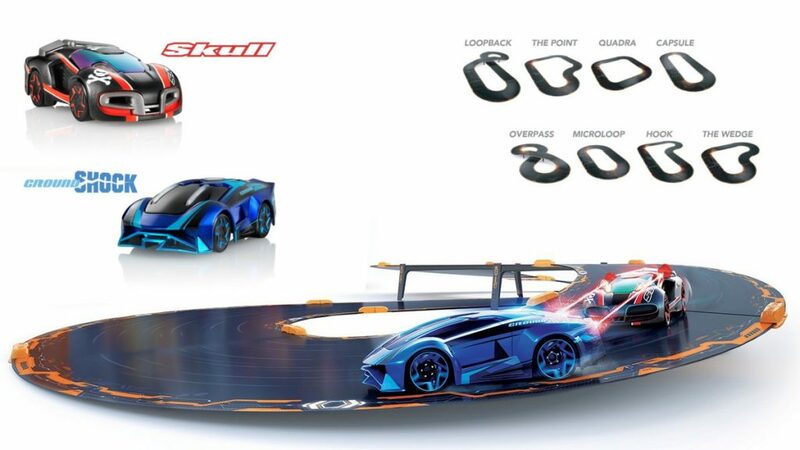 I’ve raced small toy race sets before, but nothing like the Overdrive system from Anki. The wired track car of old is replaced with sensors and mobile devices for a new level of living room races. The cars all but keep themselves on the track, you get to change lanes and control the speed. Augmented reality interactive games and computer driven competition is really where it’s at. This is a starter kit, you can then grab additional track pieces and cars to expand as you. There is a Fast and the Furious set available as well. Check out the Anki Overdrive starter kit for $121 on Amazon today. 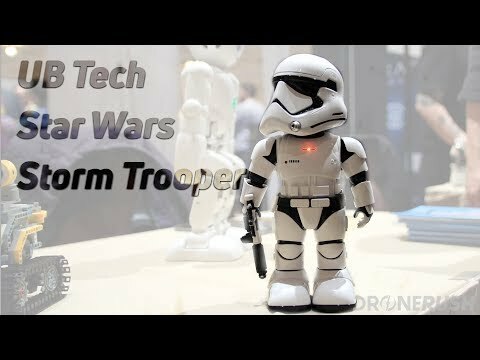 UBTech has a few robots to their name, most are educational or very functional, but none as cool as the Star Wars Stormtrooper robot. We can’t wait to see this thing in action, walking the halls looking for intruders, accepting voice commands and more. 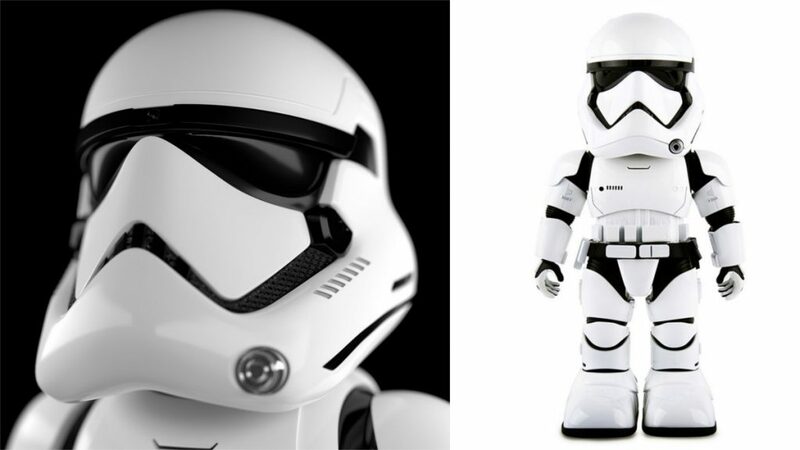 Check out the UBTech Stormtrooper robot from $150 on Amazon today. We had the chance to meet up with UBTech at CES 2018. We couldn’t stay long, and it was only a quick personal visit, but we did get to see the Star Wars Storm Trooper in action. So much fun. We made it, there are hundreds of other cool robots kicking around that we’d have loved to have shared with you, but we already told you, these are the toy robots we have our eye on. This list was not to highlight the best toy robots out there, so please feel free to share your top picks in the comments below. Thank you for sticking with us, we’ll get back to the flying drones now.